A rather quick response piece to events in Boston with a colleague at RUSI in response to the inevitable surge in inquiries after the sad incident. Undoubtedly more about this as it emerges, though I am wary of ascribing responsibility at this point. My own sense is that it is likely a lone individual, something I say based on the sort of device, the random target and the lack of any subsequent ideological messaging, but until more information emerges it is dangerous to speculate too much. The authorities in the United States are rightly cautious in ascribing blame to yesterday’s incident in Boston. The explosions – killing three and injuring over 140 – highlight the importance of securing public events without being governed by fear. With no claims of responsibility and no ideological leads that authorities are visibly pursuing, it is almost impossible to know why yesterday’s attack in Boston took place. The early facts are clear: the target was the Boston Marathon; the use of two devices, and their location, suggests the intention was to kill as many people as possible; and the devices appear to have been homemade, possibly with black powder. None of these details conclusively point to a particular individual or a group. Sporting events in the United States have been targeted before. Most prominently during the Atlanta Olympics in 1996, Eric Rudolph targeted the games with a homemade explosive, killing two and injuring more than a hundred. Looking further afield, of course, the Munich Olympics of 1972 stand out as a major incident conducted by international terrorists taking advantage of the spotlight that the games brought. Since the turn of the twenty-first century, attacks on public places with the aim of causing mass casualties – such as those in Madrid, London, Mumbai and Norway – have become the favoured modus operandi of terrorists around the world, regardless of the ideologies to which they subscribe. The choice of two explosive devices, timed to detonate within seconds of one another, and the use of shrapnel inside them suggest the perpetrator(s) wanted to harm as many people as possible. Eyewitnesses record that the second explosion happened as they were running from the first. In addition, choosing the finishing line of the Boston Marathon as a target ensures that media coverage of the attack will reach the eyes of the world within seconds: television cameras and press photographers were already on site, while a plethora of social media was available with which both the media and the public could broadcast the incident far and wide. Fortunately for many of the runners and spectators caught up in the attack, there was a large emergency-response team on hand. A marathon – or any other large public event – by necessity has high numbers of volunteer and professional paramedics on standby, as well as large numbers of crowd stewards and police to help keep the situation as calm as possible. Command-and-control centres – ready to deal with any incident that arises – will already have been established to manage the marathon and will be able to respond to the incident quickly. Just as fortunately, perhaps, the improvised explosive devices seem to have produced a relatively limited explosion and to have caused few fatalities. The key questions that remain are who was responsible for this incident and what they hoped to achieve. Given there was no specific intelligence regarding an attack, it will take time for the US authorities to determine the identity of the culprit(s). There are numerous terrorist groups who could have conducted an attack, including domestic groups. For example, the forthcoming twentieth anniversary of the climax of the Waco siege, centred on a cult based in Texas, could prompt such an attack by a sympathetic domestic group; while those on the far political right and Patriot movements in America should not be immediately or instinctively discounted as potential perpetrators. It may even be a lone individual. But the truth is that at this stage we do not know, and it is not useful to speculate over who was responsible and whether or not the choice of a marathon run on Patriots’ Day as the target is significant. The incident highlights how rapidly and easily it is possible to grip the world’s attention with a single act of violence. Whether the perpetrator is a lone wolf, right wing, jihadist or other, this terror plot has once again caught the world’s attention. However tragic the event, from a resilience perspective it is important to guard against allowing the psychological damage to outweigh the physical and material. Whoever the perpetrators and whatever their specific aim, their real victory is counted not in the number of people killed or injured in Boston, but in the impact the attacks may have on, to quote the UK National Security Strategy, the ability of those targeted ‘to go about their daily lives freely and with confidence’. The more this freedom is undermined, the greater the success of the act of terrorism. Questions have already been raised about the security of the forthcoming London Marathon, taking place within days of its Boston counterpart, on 21 April. In his 2007 review of security in crowded public places, Lord West (then Under-Secretary of State for Security and Counter-Terrorism at the Home Office) made clear that while the threat to such events has increased in recent years, lockdown is neither practical nor prudent. Nonetheless, it is worth reviewing security arrangements in advance of the London Marathon this weekend. Such security arrangements are made up of two workstreams: to ‘protect’ and ‘prepare’, both of which the government sees as a high priority and which have also been practised extensively in recent months – an feature of the Olympic legacy. During the 2012 Olympics, London hosted a marathon for which security arrangements were ramped up considerably from those in place for previous London Marathons. As one of the few events not completely contained within the Olympic Park or dedicated venues, the vulnerabilities will have been scrutinised extensively and plans will have been made for the mitigation of an attack. The planning for this and the Olympic Torch relay route is still fresh in the minds of all those involved, as are the skills and techniques used in implementing the plans – from protecting transportation routes without imposing airport-style security measures, to using CCTV camera software to pick up suspicious behaviour in crowds. Such preparation has to be done in advance; additional personnel cannot be sourced and trained in days. They need to be ready to go – and they will be. It is likely that some of the security infrastructure put in place for Baroness Thatcher’s funeral tomorrow will now remain in place over the weekend, including the numbers of personnel on high-readiness to deploy, for example, and the incident control rooms fully staffed and ready to respond immediately. Similarly, there will be an increased security focus on any intelligence that may suggest a threat to the marathon and on anything that might be known by then about the perpetrators of the Boston attacks or their networks. Luckily, ramping command-and-control networks and intelligence-sharing back up to Olympic-period levels will still be based on personal memory and experience; new technology paid for out of Olympic budgets is still state-of-the-art. Such solid preparation brings with it as high a level of protection as possible. Everything that can be done will be done to ensure the safety and security of the London Marathon, and especially so in the aftermath of the tragic events in Boston. A bit slow up as travel and events have been impeding my ability to post, but a new piece for my new think tank base RUSI looking at the news of the link up or not between Jabhat al Nusrah and the Islamic State of Iraq. I also did a longer interview for de Volkskrant about Syria and the foreign fighters question, something that I am developing a couple of projects about. I was also quoted in a BBC piece about the last British resident in Guantanamo, Shaker Aamer, and this broader Metro piece about al Qaeda globally. There is much confusion over the supposed ‘merger between Syria’s Jabhet al-Nusra and the Islamic state of Iraq group. The confusion itself emphasises the erosion of Al-Qa’ida’s supra-national aims and the reduced focus on Western targets. Confusion reigned in the Syrian jihad last week as it was first announced, then denied, with the caveat of a connection of some sort admitted to, that the Jabhet al-Nusra (or the al Nusra Front ) was officially aligning itself with the Islamic State of Iraq (ISI, the given name of Al-Qa’ida’s Iraqi affiliate), al-Qa’ida’s bloodiest franchise. The reasons for this clumsy uncovering of what was already known could be personality based as much as anything else, but the experience did highlight a growing lack of coherence amongst the global jihadist movement. ‘Al-Qa’idaism’ seems to have not completely recovered from the loss of Osama bin Laden. The announcements out of Syria were preceded by the latest audio message by Ayman al Zawahiri, Osama bin Laden’s successor and the leader of what is left of Al-Qa’ida-core in Pakistan, in which he praised the ‘lions of Islam’ in the Levant ‘who fight for the Ummah’s religion, dignity, glory and sanctities.’ He exhorted the fighters in the Levant to ‘do everything in your power to yield a jihadist Islamic state.’ A few days after this, a message appeared on the forums purporting to be from Abu Bakr al-Baghdadi, the emir of the Islamic State of Iraq (Al-Qa’ida’s Iraqi affiliate) declaring the establishment of the ‘Islamic State in Iraq and Sham’ (or greater Syria). In other words, unifying the Iraqi and Syrian groups into one unified force. Making his statement, al-Baghdadi claimed to be revealing something that was always the case, but had been kept secret until now: ‘what is al-Nusrah Front but an extension of the Islamic State of Iraq, and a part of it?’ He clarified how the Iraqi group had been responsible for the establishment of Al-Nusra Front (ANF) – providing support and funding – and how they had dispatched Abu Muhammad al-Jawlani, a leader of the Front’s, to get the group going. The message from al-Jawlani is a confusing one. On the one hand he seems to be pushing back against an overt alliance with the Islamic State of Iraq(a group he has admitted connections to), but at the same time, he is pledging direct allegiance to Al-Qa’ida core. The intent seems to be to strengthen the link to the centre while distancing himself from the group that he is most likely to benefit from materially. It is possible that the key to understanding this mixed message lies in al-Jawlani’s emphasis onAl-Nusra Front continuing to focus its work in Syria. The Front has gone to great lengths to be perceived as first and foremost a group fighting the Assad regime, bringing law, order and other public goods to people in the areas that it controls. The priority for the Front is Syria and toppling Bashar al Assad, rather than the struggle that the Islamic State of Iraq is still undertaking against the Shia governmentin Baghdad or any international goal. This desire to focus on local struggles over distant fields is a message that has been echoed elsewhere as well. Earlier this year, Dokku Umarov, a senior figure in the jihadist struggle in north Caucasus seemed to walk back his earlier statements of praise of the Syrian jihad to tell people not to leave the battlefields in the north Caucasus for Syria as there was an unresolved conflict at home still to be fought. In March of this year, a similar call came out of north Africa where Al-Qa’ida in the Islamic Maghreb (AQIM) emphasised the need for people to stay and fight there. Syria it seems is becoming a distraction to other jihadist struggles. There are a number of key points to be drawn from this. In the first instance, it seems clear that Syria has become the brightest flame on the jihadi map. So much so that other regional groups in North Africa and the North Caucasus are telling people not to abandon their battlefields, while Islamic State in Iraqhas sought to try to co-opt the Al-Nusra Front’s success under its banner. Supporting this assessment, various national security services have all concluded that Syria is now the hottest jihadi battlefield around. Whether this is due to limited resources being stretched or mere displacement is unclear. Secondly, the focus and unity of purpose that used to appear more obvious under Al-Qa’ida has faded. While these groups see each other as brothers and in some cases have clear connections with each other, they are more focused on their regional conflicts than any grander global struggle. Their interest is to win a local victory, something that they are apparently now willing to seek to the detriment of fellow travellers on other jihadi battlefields. This regional focus also helps explain the drop-off in large-scale plots being orchestrated abroad targeting the West. Individual plots do appear, in the form of lone actors or small cells with links abroad. But in most cases there is very little evidence of much direction – this is of course not to say directed plots do not still exist, but there number seems to be lower. None of this necessarily contradicts the message being sent out by Ayman al-Zawahiri. In his latest missive, he does the rounds of international jihad, highlighting and praising warriors around the globe. He warns them to be alert to Western interference – and in fact dedicates some considerable portion of his presentation to highlighting how Iran is a major enemy of the jihadist cause – but there is little about attacking the West. Rather, the focus seems to be on people to stand firm in their jihad, defend Islam and to seek greater unity amongst Muslims. In this light, al-Jawlani’sdecision to pledge his allegiance to al-Zawahiri while distancing himself from al-Baghdadi can possibly be understood to make sense. Al-Zawahiri’s message is one of groups continuing their brave struggles in their respective fields, rather than a unified international fight against the West. This is a vision of Al-Qa’ida as the righteous global leader of those struggling in Islam’s name. A vision al-Jawlani sees as useful in advancing his struggle in Syria. Sitting in a Western capital, this all augurs quite well. Al-Qa’ida and its affiliates seem to be more focused on their local struggles over the international enemy. To paraphrase al-Zawahiri – who spoke of the near enemy (the authoritarian regimes in the Middle East) versus the far enemy (America and the west that used to bolster them) – the focus now seems to be near enemy. But this shift in focus does not necessarily mean an end to all problems. These battlefields continue to draw in young Westerners, and what happens to these battle-hardened young men afterwards remains a dilemma (some come home and do nothing, while others come back with a desire to launch attacks). There are also groups that remain bent on attacking the West. The Islamic State of Iraq and the Al-Nusra Front may not currently have much interest in attacking the West, but individuals in Pakistan – both Al-Qa’ida-core and groups like the Pakistani Taliban – as well as elements within Al-Qa’ida in the Arabian Peninsula (AQAP) remain fixated with trying to attack the West or instigate lone actor plots there. But the broader trend is clear. For the time being at least, the priority has shifted back to the regions. ‘Al-Qa’idaism’ may still speak in global terms, but is increasingly regionally focused. For western government’s this merely strengthens the case of why counter-terrorism efforts need to maintain vigilance at home for potential backlash from these foreign fields, but increasingly need to focus their resources abroad. Finally posting my longer piece for Jane’s about the Birmingham plotters who were convicted last month. I have already done a piece for my new institutional home RUSI on this plot, and in the fullness of time will probably do more as it is a group with interesting links. Unrelated to this plot, but on terrorism more generally, I did interviews with Aftenposten on Anjem Choudary in Norway, Die Volkskrant on Europeans going to Syria and the Toronto Star about converts in the wake of the news about the Canadians linked to the In Amenas incident. Thanks to IHS Janes for agreeing to let me republish this. Three men were convicted of plotting to carry out suicide attacks by a court in London on 21 February. The three were ringleaders of a wider cell; six other members have pleaded guilty to terrorism offences, while three others face trial later this year. While elements of the plot were amateurish, cell members connected with Al-Qaeda personnel in Pakistan for training and were intent on a mass-casualty operation. The trial and conviction of three men in the UK unveiled an Al-Qaeda-linked plot to carry out a series of suicide attacks in Birmingham. Raffaello Pantucci investigates. “You know this operation they’ve done though, did it go a bit wrong or something or what? 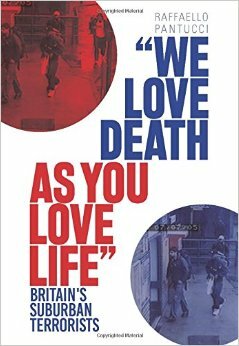 It didn’t do that much damage.” Referring to the 7 July 2005 London bombings that killed 52 people, the conversation recorded by police officers on 18 September 2011 conveyed the ambition of Irfan Khalid, 27, Irfan Naseer, 31, and Ashik Ali, 27. These three men were found guilty on 21 February of plotting to carry out suicide attacks in the UK city of Birmingham. At their trial, the prosecution argued that the three had trained and communicated with Al-Qaeda militants in Pakistan and were directed to carry out a terrorist attack in Europe. The foiled plot was a seeming return to an earlier period when UK counter-terrorism was almost singly focused on the connection between the UK and Pakistan. There was a strong reason for this, as major attacks disrupted by UK authorities in 2004, 2005, and 2006 – let alone the July 2005 attacks – were all driven by plotters drawn from the UK South Asian community who had connected directly with Al-Qaeda personnel in Pakistan. After 2006, the intensity of the threat from this South Asian link diminished, although by no means went away, with threats from different addresses rising up security agencies’ list of concerns. As such, there was a measure of surprise when, in September 2011, police officers in Birmingham conducted a series of arrests and claimed to have disrupted a plot they described as “Al-Qaeda linked” and at “an advanced stage of planning”. Following the conclusion of the trial almost 18 months later, the details of the plot have emerged, with evidence indicating that the plotters had made connections with Al-Qaeda, received explosives training in Pakistan, were seeking to launch an attack in the UK, and had purportedly recorded martyrdom videos that had been left behind with contacts in Al-Qaeda. The weight of evidence was such that six individuals who were linked to the three core ringleaders pleaded guilty to the charges against them. Four men – Naweed Ali, 24; Ishaaq Hussain, 20; Khobaib Hussain, 20; and Shahid Khan, 20 – pleaded guilty to engaging in conduct in preparation for terrorism by travelling to Pakistan for training. Known to police as “the travellers”, they were recruited by others in the cell to go to training camps in Pakistan. Two other men – Rahin Ahmed, 28, and Mujahid Hussain, 21 – pleaded guilty to fundraising for the cell. The leader of the cell was Irfan Naseer, known to the others as ‘Big Irfan’. During the trial, his lawyer described his client as an “overweight, lazy mummy’s boy” who was obsessed with “food and farting”. Still living with his parents, Naseer was the youngest of three sons born to a family that had moved to the UK from Pakistan in 1975. He graduated from a Birmingham school with sufficient qualifications to allow him to study for an undergraduate pharmacy degree at Aston University. He completed his degree in 2003, although by his own account one of the more important things to happen during his studies was his rediscovery of Islam. Claiming to have memorised the Quran when he was 19, Naseer told police that during this time he also started to discover more radical Islamist clerics and their ideology. On graduation, he failed to settle into working life, dropping out of a work placement at a pharmacy in the Sparkhill area of Birmingham. Instead, he took a series of jobs at religious institutions in the area, including a stint from 2007-08 as a science teacher at the Darul Uloom Islamic High School and College in Birmingham. Naseer’s deputy in the plot was Irfan Khalid, known as ‘Little Irfan’ to distinguish him from Naseer. Born in the UK to a father from the disputed region of Kashmir, Khalid was the oldest of three children who were raised at his maternal grandparents’ residence in the Sparkbrook area of Birmingham. An underachiever, he attended Solihull College between 2001 and 2003, taking courses on information technology that he failed to complete. In 2005, he travelled to Kashmir – staying with his paternal family – to assist in aid efforts following the recent earthquake in the area. After returning to the UK, at one point he worked as a security officer, although the details are unclear. At the time of the plot, he was living with his parents in Sparkbrook. The third convicted plotter was Ashik Ali, a visually-impaired man who was born in the UK to a father who lived with his two wives in Sparkbrook. Ali underachieved at school, and performed poorly in his examinations. After leaving school, his father helped him get a job in food processing, although he left this job after nine months to work as a receptionist at a gym – one of the many locations the cell members used to frequent. By September 2009, he had enrolled on an Open University science foundation course, although he subsequently failed to complete any of the course requirements. Perhaps most salient regarding the plot, in February 2008 Ali married Salma Kabal and the couple lived with Kabal’s family while they waited to be assigned council housing. In January 2011 they were given a one-bedroom flat but, according to Ali, the relationship had ended by then and he elected to move in by himself. In the narrative advanced during the trial, he purposely split from Kabal in order to distance her from the plot and prevent her being implicated. Instead, he seemed determined to use the flat as a safe-house for the cell. When police first started investigating the cell in April 2011, Naseer and Khalid were in Pakistan on their second trip seeking training. They both first travelled to Pakistan in 2009, departing together from Birmingham International Airport (BIA) on 24 March and returning separately in mid-to-late November that year. Evidence subsequently indicated that while they were in Pakistan they received money from fellow cell member Rahin Ahmed, and the prosecution’s assertion was that during this period Naseer and Khalid spent time at a training camp. However, details of the nature of the alleged training they received, or who they reportedly trained with, were not made publicly available. Who exactly trained the men is unclear, although in conversations recorded by police the cell members referred to having received orders from the upper reaches of Al-Qaeda and in particular Sheikh Khalid bin Abdul Rahman al-Hussainan (alias Abu Zaid al-Kuwaiti), a senior figure in the group who was reportedly killed in a US UAV missile strike in North Waziristan on 6 December 2012. One innovation of the plot was to use cold packs – used by athletes to soothe injuries – as a source of ammonium nitrate for explosives. While at one point Naseer was recorded assuring Ali that the packs contained the necessary ingredients, the information was faulty as cold packs have been manufactured without ammonium nitrate for several years for safety reasons. Nevertheless, they continued to search for other methods of obtaining the necessary materials. One of the clear messages that Naseer and Khalid allegedly received from their contacts during training in Pakistan was to disseminate the message and training further. Naseer was recorded on 17 September 2011, stating: “They said yeah, the knowledge they gave us, they want that to spread in Europe.” They successfully persuaded the four-man group, referred to by police as “the travellers”, to go to Pakistan for training and aimed to persuade Mohammed Rizwan to do the same. While this was ultimately unsuccessful, Rizwan still faces charges related to his alleged involvement with the cell and in particular providing support and encouragement in the planned operation. Among those who pleaded guilty, Ahmed, the self-described “taxi driver” of the group, was tasked with multiplying the cell’s money through online foreign exchange trading. The seed money that he used in this enterprise was obtained by the cell through a series of fake charitable drives that they undertook on Birmingham’s streets, claiming to raise money for UK-based charity Muslim Aid and the local Madrassah-e-Ashraful Uloom. Using official green Muslim Aid T-shirts and high visibility tabards, the group carried green Muslim Aid-labelled buckets around Birmingham and briefly Leicester, and had leaflets and other merchandise from the organisation to make them seem credible. Having collected around GBP14,000 (USD21,000), Ahmed reportedly stated that there was a “next to impossible chance of losing the money”. However, his optimism was misplaced. Between 17 August and 16 September 2010, he managed to lose around GBP9,000. Of that amount, GBP 3,000 was lost when he left his computer to make a cup of tea, missing a key market shift. This led the others to distrust Ahmed and to cut him out of some elements of the plot. They castigated him and told him that he would have to sell his car and take out loans that he did not intend to repay to cover the losses. Although the main focus of the plot appeared to be the use of explosive devices, the cell spoke of the possibility of using guns in some form of attack, and were recorded by police on 17 September 2011 as stating: “Even if you can’t make a bomb, get guns yeah from the black geezers, Africans, and charge into some like synagogue or charge into different places.” However, this, like many of the other plans, seemed largely fanciful. The most likely one seemed to be collecting chemicals and testing out recipes to establish the best way to build an explosive device from readily sourced materials. Indeed, when the three ringleaders were convicted on 21 February, the judge told Naseer: “You were seeking to recruit a team of somewhere between six and eight suicide bombers to carry out a spectacular bombing campaign, one which would create an anniversary along the lines of 7/7 or 9/11 [the 11 September 2001 attacks on the US].” However, there was no indication at the time of their arrest that the cell members had made any credible progress towards producing a viable explosive device. The sometimes amateurish nature of the plotters has led to them being painted by the UK media as figures from the film satire Four Lions. Ahmed’s trading losses, alongside the news that Ali had eBay accounts named TerrorShop and Shop Terror, all seemed to point to a rather clownish operation. However, this should not detract from the cell’s genuine intent. Not only were cell members able to connect with Al-Qaeda personnel, Naseer and Khalid were able to attend training camps in Pakistan on at least two separate occasions, raise substantial funds, dispatch another team of recruits to Pakistan, and start to deploy their training back in the UK. When Khalid was recorded by police, joking as he drove around Birmingham with a group of fellow plotters, stating “it’s the four suicide bombers driving around ready to take on England, oh my God take them out”, he was only half joking. It was also notable that this vocal group of extremists was not reported earlier to authorities by the local Muslim community. In particular, it was highlighted that even though community members discovered “the travellers” had been sent to a training camp, and forced Naseer to make sure they got back safely, no one reported this to the authorities. In retrospect, it is somewhat surprising that there was less awareness of the cell. In their own recordings, they refer to interaction with radical elements in Birmingham, and there are connections between the broader cell and at least three separate terrorist investigations. It is difficult to know if this was simply the background chatter visible in a tight-knit community such as Birmingham’s Sparkbrook and Sparkhill. Plots of varying degrees of seriousness are periodically disrupted in this area of the country, with at least one important trial expected later in the year. The underlying lesson from this plot seems to be that terrorism in the UK continues to have a strong Pakistani connection, something that has clearly managed to outlive Bin Laden and the disaggregation of Al-Qaeda’s senior hierarchy. A new article for the Carnegie Endowment for International Peace, a think tank with offices around the globe. It focuses on China in Afghanistan and is part of a series being directed out of their Beijing office looking at giving China advice for the coming year in foreign policy. The piece has already been re-printed in the Diplomat and I believe may be being re-published on East Asia Forum. I also want to use this opportunity to highlight this piece in the Russian Penza news which I did an interview for, here it is in English and Russian. For more of my work on this part of the world, check out China in Central Asia that I co-edit with Alex. The 2014 deadline for the withdrawal of troops from Afghanistan is fast approaching. China has just over a year before Afghanistan fades from the West’s radar and Western attention toward the country shrinks substantially. However, it is not clear that Beijing has properly considered what it is going to do once NATO forces leave and pass the responsibility for Afghan stability and security to local forces. And more crucially, it is not clear that China has thought about what it can do with the significant economic leverage it wields in the region. Afghanistan offers China the opportunity to show the world it is a responsible global leader that is not wholly reliant on others to assure its regional interests. Traditionally, Chinese thinkers have considered Afghanistan the “graveyard of empires.” They chuckle at the ill-advised American-led NATO effort and point to British and Soviet experiences fighting wars in Afghanistan. But in reality, the presence of NATO forces provided China with a sense of stability. Beijing correctly assumed that NATO’s presence in Afghanistan would mean regional terrorist networks would remain focused on attacking Alliance forces rather than stirring up trouble in neighboring countries like China. NATO’s targeting of Islamist groups also had the effect of striking anti-Chinese Uighur groups that had sought refuge in Afghanistan under the protection of the Taliban or al-Qaeda. These Uighur groups would otherwise have focused their attention on targeting China. Yet as the date of American withdrawal from Afghanistan approaches, this security dynamic is changing. While China does worry about the threat of Islamist Uighur groups striking from their Afghan bases, this concern is relatively marginal. The bigger problem is the potentially negative repercussions for the rising number of investments from China’s private sector in Afghanistan and its surrounding region. These investments are part of a broader push into Central Asia that flows from an effort to develop China’s historically underdeveloped province of Xinjiang, which borders Afghanistan. The prospect of an Afghanistan returning to chaos is, therefore, not appealing to policymakers and businesspeople in Beijing. This scenario would bring instability directly to China’s doorstep, and this instability could potentially expand northward into Central Asia or southward into Pakistan. China would suffer from further chaos in either direction. The solution to this problem is complex. China is not necessarily expected to invest heavily in security efforts and rebuilding Afghanistan’s security apparatus, though some more substantial contribution in this direction than the offer to train a nominal 300 policemen that China made last year in Kabul would be helpful. Rather, China could focus on what it is able to do best: invest in Afghanistan and develop its abundant natural resources. Chinese state-owned firms have already invested in oil fields in Amu Darya in northern Afghanistan and a copper mine in Mes Aynak, southeast of Kabul. These investments have had mixed success. Amu Darya has produced for the China National Petroleum Company (CNPC), though its current status is unknown. Problems and uncertainty with China’s investments in Central Asia are reflected in the difficulties of two other Chinese companies—the Metallurgical Corporation of China (MCC) and Jiangxi Copper—in the south. In part this is because companies operating in the south face understandable security concerns that range from locals angry because they feel they were not justly compensated for their land that was affected by the mine to Taliban-affiliated groups eager to punish the central government by undermining efforts to develop the country. But these companies also often find they lack a full understanding of the environment in which they are trying to invest. Orchestrators of projects that begin with the best of intentions and large investments, like the Mes Aynak mine, find themselves burdened with a local government response that is confused. Confusion turns to anger when these projects fail to deliver elements that were supposedly included in the original contract. For example, the local Afghan government initially believed that MCC and Jiangxi Copper would build a train line in the south. But the companies claim the contract only stipulated it would conduct a feasibility study. They also claim that the security situation has driven Chinese workers to refuse to work on the site, though reports about whether these stoppages are actually occurring are unclear. The difficulty of this deal contrasts with the rapidity with which Chinese energy giant CNPC was able to bring online the oil field in Amu Darya. Political complications with the local Afghan strongman Rashid Dostum have held up work, and it is not clear that they have been completely resolved. The field has produced some oil that was transported across the border by truck into Turkmenistan, where it is refined at a separate CNPC site. The company has also said that it is going to develop a refinery in Afghanistan to help facilitate Afghan energy independence. These two projects show the potential benefits and downsides to investing in Afghanistan. Large mining projects like these have the potential to be help rebuild parts of Afghanistan and transform the economy from one that is reliant on the drug trade and foreign aid to self-reliance. Even if they were all successful, Chinese investments alone would not transform Afghanistan into a stable and prosperous state. China also needs to leverage its power within the region and persuade other countries to engage in Afghanistan in order to complete this transformation. The Shanghai Cooperation Organization (SCO), a regional entity led by China, has done very little in Afghanistan due to a lack of agreement among members about what exactly actions to take. China believes the SCO should do more, but other member countries believe a bilateral approach is better that a multilateral one and that focusing on building individual relationships in Afghanistan will help strengthen their particular interests. This is unfortunate as the SCO could be a useful vehicle through which China and other regional actors could undertake efforts to counter the narcotics trade in the region and strengthen border controls. China has growing influence in the Asian Development Bank, which has already invested heavily in Afghanistan. China could continue its support for these projects to help connect Afghanistan to the broader region and reintegrate the nation into the global community, thus fostering stability. This approach complements China’s broader regional strategy to develop Xinjiang into the “gateway for Eurasia” as Premier Wen Jiabao put it during the China-Eurasia Expo in September last year. And at the social level, China needs to foster person-to-person contact with Afghanistan. Last year during a visit to Kabul, the most striking characteristic of Kabul University’s Confucius Institute—one of the Beijing-backed centers that promote Chinese language and culture across the world—was the absence of Chinese teachers and Afghan students. This stood in contrast to other Confucius Institutes in Central Asia with dozens of students crowding around excited teachers. The security situation undoubtedly complicates things in Kabul, but there are safer parts of the country in which to operate. To further encourage societal ties, Beijing could try to entice more Afghans to study and work in China through scholarships and study grants. China has an opportunity in the next year to assert some leadership in helping steer Afghanistan in a more positive direction. A stable Afghanistan is in China’s national interest, and taking the lead on this regional issue of international importance could help bolster Beijing’s global position. The West may have made mistakes in Afghanistan’s past, and making up for them will undoubtedly take time. But the Afghanistan problem is one that remains on China’s borders and has the potential to result in even more regional instability. Investing in Afghanistan now will save years of trouble later. Raffaello Pantucci is a senior research fellow at the Royal United Services Institute and the co-editor of http://www.chinaincentralasia.com. Somewhat belatedly, I am reposting here an article that I had published in the Chinese 东方早报 (The Oriental Morning Post) during Xi Jinping’s visit to Moscow a week or so ago. The article does not seem to have been put online, so I have posted the English text that I submitted below. I currently cannot figure out how to attach a PDF here, so cannot add the tear page, but if you are interested, please drop me a line and I can send it over. Related, I did an interview for Danish radio on the visit, focusing in particular on Central Asia. I am also going to use this opportunity to highlight interviews I did for the Italian AGI and The Atlantic on China in Central Asia. As ever for more on my work in this direction, please have a look at the site I manage with Alex focusing on our project on China in Central Asia. There has been a great deal of speculation in the press about the significance of Xi Jinping’s decision to make Russia his first foreign trip as leader of China. The implication of much of the discussion is that China is about to reorient itself to turn Moscow into a priority ally, creating some sort of a new axis in international affairs. The reality is that little is practically changing in this relationship beyond reaffirmation of the fact that both sides see the other as a power with which it suits them to be perceived as being aligned. The relationship in the past few years has evolved substantially. Discussions about enhancing military cooperation and the prospect of joint technological development projects were highlighted during Defence Minister Shoigu’s visit to Beijing late last year, national energy giants CNPC and Rosneft have signed deals to build refineries near Tianjin and explore similar opportunities in Russia as well as looking at doing a large $25-$30 billion loan for oil deal – the Russian firm is believed to be seeking the loan from the Chinese firm in a repeat of a deal from a few years ago. At a political level, President Putin visited Beijing very soon after his election victory, so in some ways this is reciprocating. And on the international stage, China and Russia broadly find themselves in agreement with regards their postures on issues like Syria or Iran and generally prove willing to support each other’s positions in the United Nations Security Council. They both found the ‘colour revolutions’ of a few years ago alarming, and view the ‘Arab Spring’ in an even darker light. Trouble from rebellious provinces is an issue they both share, and they see western plots inside domestic problems. But beneath this cordiality there is a tension. In the run-up to President Xi’s visit, much has been made in the Chinese press that some final agreement may be about to come about on the topic of gas pricing, a discussion that has been ongoing between China and Russia for over a decade. Unable to reach an agreement, we have seen a number of high level visits come and go with no conclusion in sight of the deal. This time, we are told, it may actually happen. And the logic may finally be there: China’s growing gas relationship with Turkmenistan means that it is going to be less reliant on finding Russian sources, something that will in turn pressure Russia to come to some agreement to not lose its hand in the discussion with China. This aside, there is the question of Central Asia more broadly. A region that Russia has traditionally seen as its strategic backyard, but where China is increasingly becoming the more relevant actor. Economically, this is displacing Russian interests, though it remains clear that the Central Asian powers continue to see Russia as the more important security guarantor regionally. The story of the past decade, however, is the money and investment flowing in mostly from Xinjiang rewiring Central Asia so its roads all lead to China. Russia is seen to be pushing back against this through the institution and implementation of the Customs Union that at the moment only encompasses Belarus, Kazakhstan and Russia. But this is a still developing project and it is unclear how it will ultimately impact Chinese economic growth in Central Asia. Looking beyond Central Asia, there is the dilemma of Afghanistan and the tensions between India and Pakistan. This triumvirate of countries is a complicated one with both Moscow and Beijing having very different views. Russia has always supported ally India, while Beijing retains strong ties with Islamabad. A delicate balance that has the result of keeping both India and Pakistan out of the Shanghai Cooperation Organization (SCO). And on Afghanistan, while there is evidence that China is slowly coming to the realization that more must be done and soon, Russia remains trapped in the shadow of its history in that country and refuses to commit much. The point is that China and Russia are not an easy pairing. They may concur on a few things, but disagree on others too. But what they do share is a concern about western dominance in international affairs and a feeling that the American approach is not always necessarily the right one. And it is maybe here that we should look for deeper meaning in the Russia-China relationship. It is not so much that they are partners of principle, but they are partners of utility. Each sees the value in having a strong counterpart whom is willing to stand up to the United States and the West. Left alone, they would end up being isolated in international affairs and have to deal with the brunt of international wrath when they stood up for unpopular issues. But united they are able to provide some cover for each other and extend the travel schedule of any western foreign minister seeking to lobby their support for issues at the UNSC or elsewhere. China and Russia remain partners of convenience. Their tentative gestures towards a real strategic partnership are likely to continue to edge gradually forwards, and mutual support will continue on the international stage, but the reality is that this is never going to be a holistic and firm axis in international affairs. Instead it will remain a utilitarian partnership that will provide each other with a useful ally when facing down against perceived western interventionism.